Traveling Vineyard began with an idea back in 2001… it is hard to know if you like a wine unless you try it first… That thought launched their entire in-home wine tasting concept. Since then they have launched hundreds of Wine Guides into successful work at home jobs. Because unlike other direct selling concepts, everybody likes to relax, enjoy and taste some free wine. After the initial years of evolving the business model, recruiting Wine Guides, and creating the infrastructure, it was time to mobilize the business by providing their Wine Guides with the ability to create events, add guests, view available inventory, submit orders, process payments, and access marketing collateral – all in real-time during the in-home tasting events – directly from their tablet of phone devices. Traveling Vineyard selected Red Foundry as their strategic development partner based on our deep mobile app expertise and our proven ability to help clients move from “Idea to Reality”. 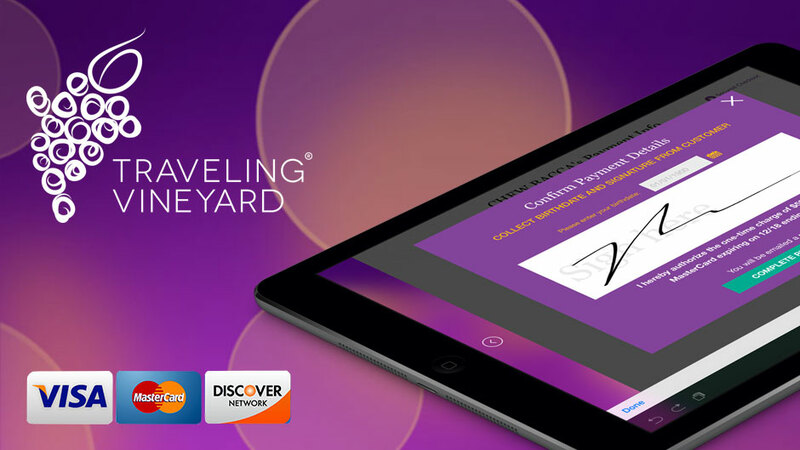 From the initial app design reviews through app development, testing, and launch in September 2016, Red Foundry has helped Traveling Vineyard turn their vision into a reality. 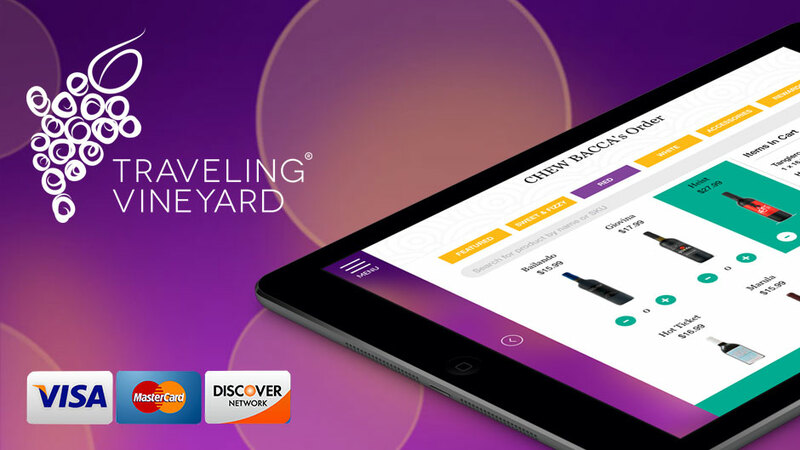 From start to finish, the user-friendly app guides Wine Guides through the entire event process – from setting up quick select featured products to a simple, streamlined check-out process on the spot. And all wine notes and important documents are just a click away. Wine Guides can even sign up a new Wine Guide right from the app. Payment Processing Efficiency: Real-time credit card processing (both swipe and dip) reduces the chance of payment data entry errors and eliminates the time lag related to paper check processing. Inventory Awareness: By integrating the app with the client’s inventory management system via an API interface, the Wine Guides know exactly which products are available to ship – reducing the chance of partially filled orders. Personal Performance Visibility: The Performance Dashboard gives the Wine Guides instant access to their sales metrics, upcoming events, and badges earned. Accuracy: Features like the seamlessly integrated address verification ensure that host and guest shipping addresses are valid so that products are shipped to the right location. 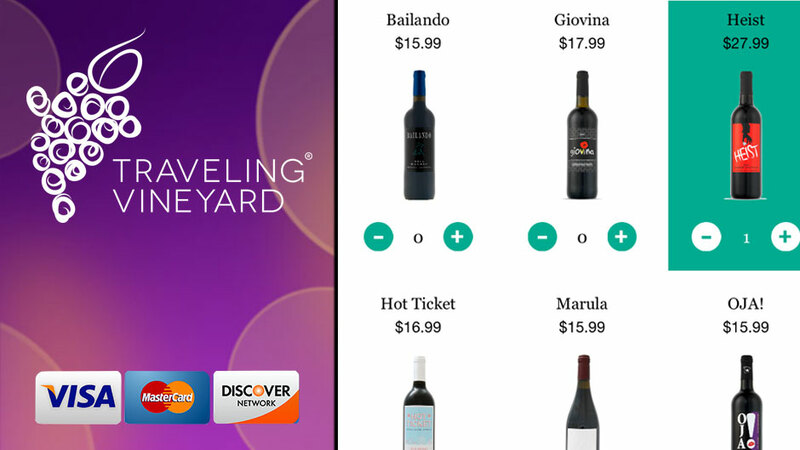 All in all, this highly intuitive app replaces a fairly manual process and improves the Wine Guide’s ability to help their customers purchase wine. Or visit the Traveling Vineyard’s Website to learn more.